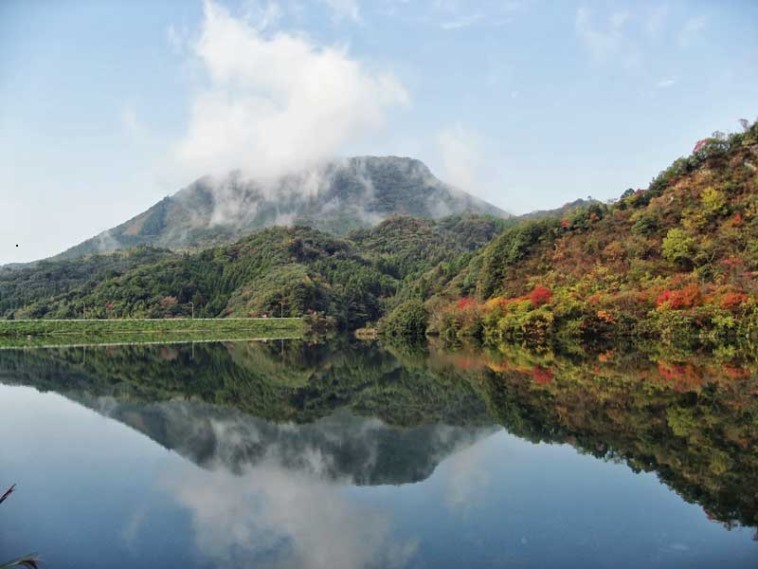 The quiet, forgotten Kunisaki Peninsula is nestled into the western end of Japan's Inland Sea on Kyushu, the most westerly island of the Japanese archipelago. It was for many centuries an important centre. 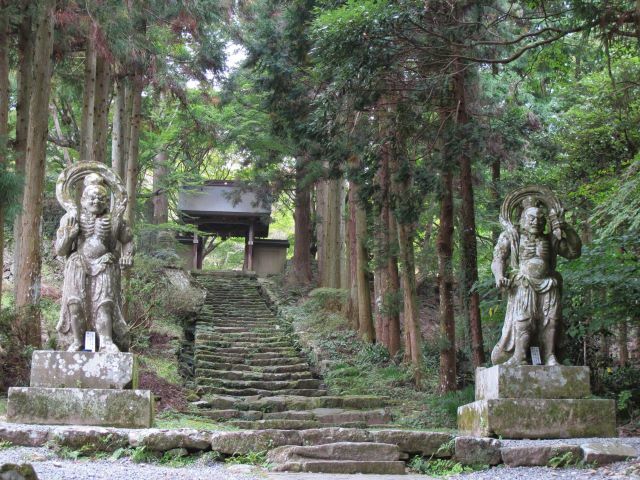 Temples and wayside shrines are some reminders of Kunisaki's deeply religious past. There are plenty of great walks here. The quiet, forgotten Kunisaki Peninsula is nestled into the western end of Japan's Inland Sea on Kyushu, the most westerly island of the Japanese archipelago. 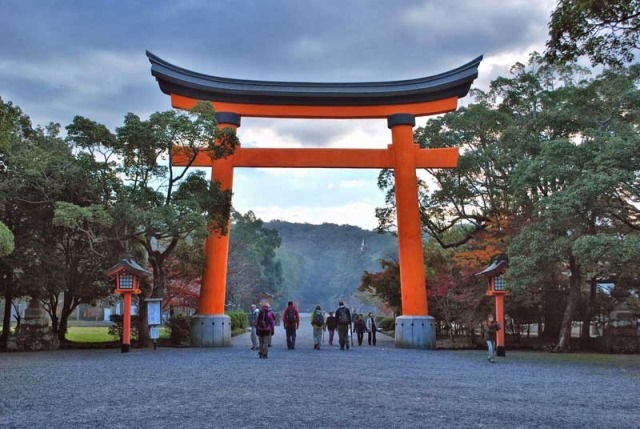 It was for many centuries an important centre of Shugendō, a syncretism of the indigenous, animistic Shinto religion and Buddhism brought from China and Korea. 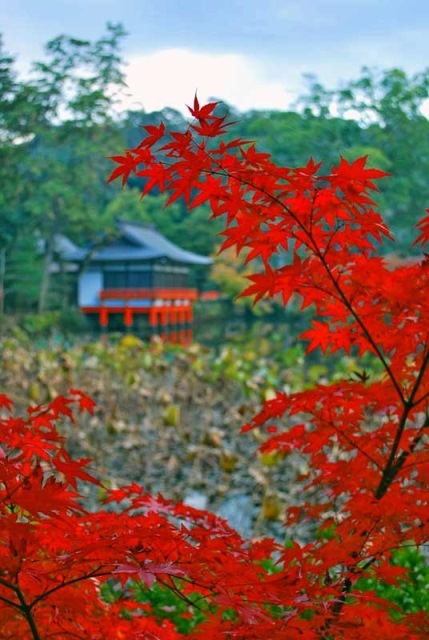 Temples and wayside shrines are some reminders of Kunisaki's deeply religious past. The peninsula once had 65 temples; there are now 33 remaining temples and shrines, and there is still a pilgrimage route between them. 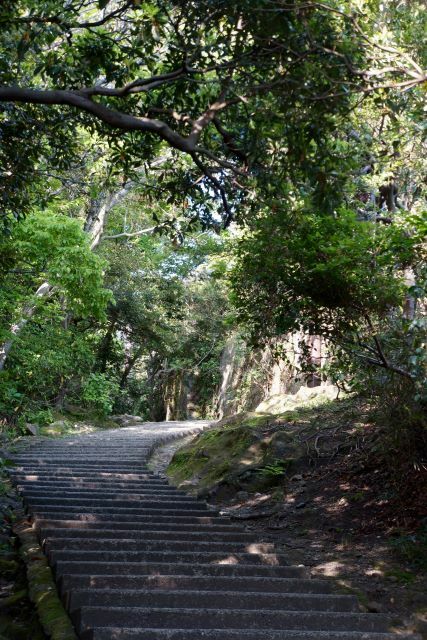 Mine-iri, a monk's practice of traversing sacred mountain paths in prayer, has been part of the religious life of Kunisaki since the 9th Century. Although now rare, the practice still continues today in Kuniskai, one of only a few places in Japan where it still does so. This is a very volcanic landscape, with conical volcanoes and 28 often deep valleys radiating out from Mt Futego (721m) in the centre. 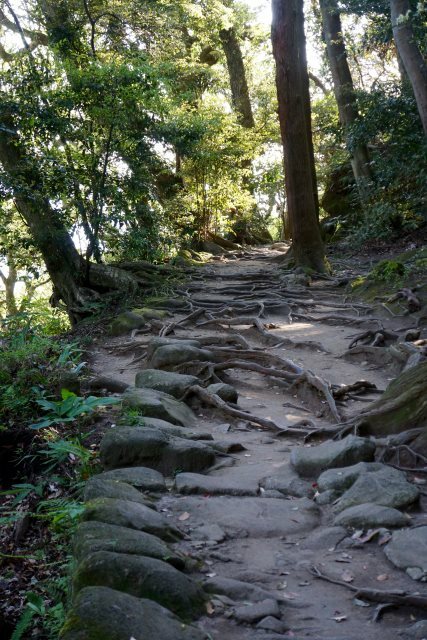 - Nakayama Senko: this ancient pilgrimage trail climbs a fine ridge, with huge views of the area. Pass Buddhist sculpture. The descent is steep, through forest under dramatic cliffs. 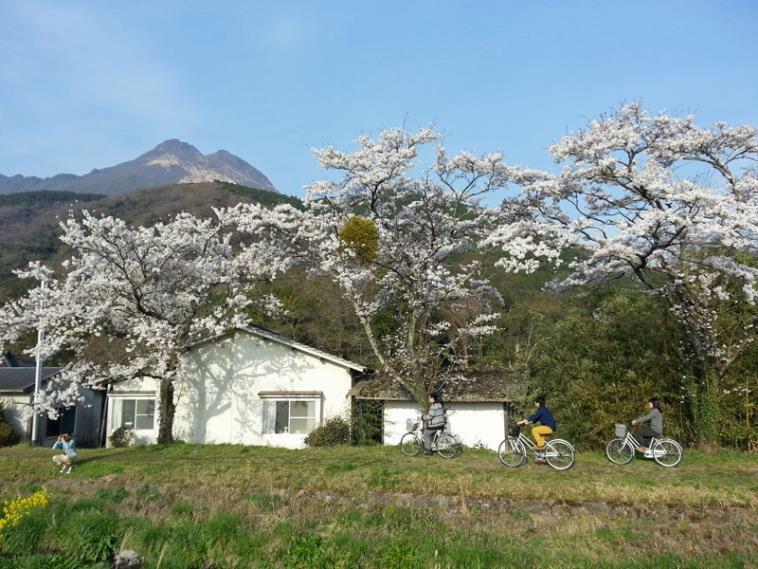 - The Tashibu-no-sho area: gorgeous and very Japanese countryside around this delightful village. 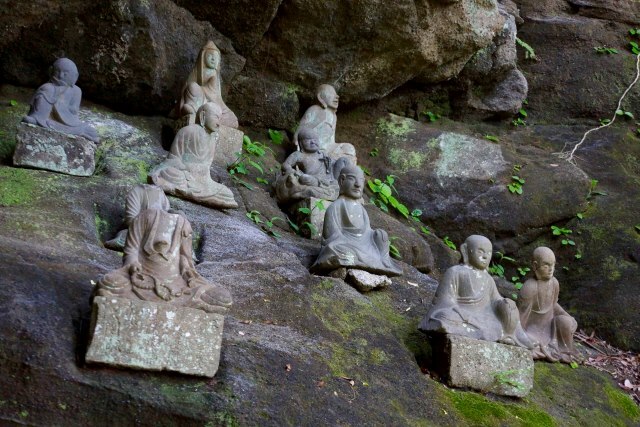 Meet Buddhist statues in caves. - Itsutsu-ji Fudo: climb to this small Buddhist building perched in the side of a great outcrop. Fine views. 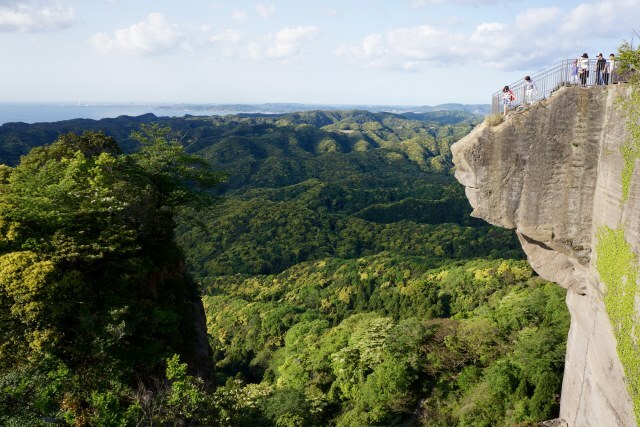 - Tenunen-ji: climb to a Buddhist temple set into a huge cliff. Fascinating area with fine views. 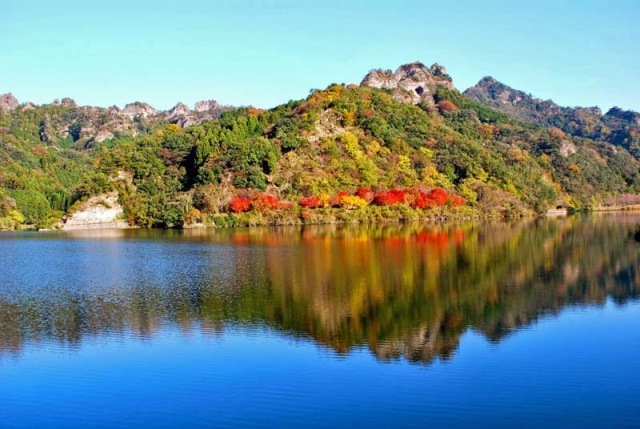 - Mount Yufu-dake: a fine volcano with outstanding views. 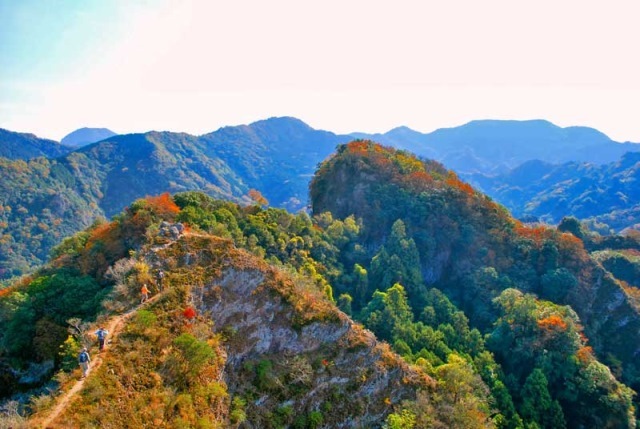 - Mumyo-bashi: a steep climb to a bridge between two high crags and a descent down spectacular cliffs. 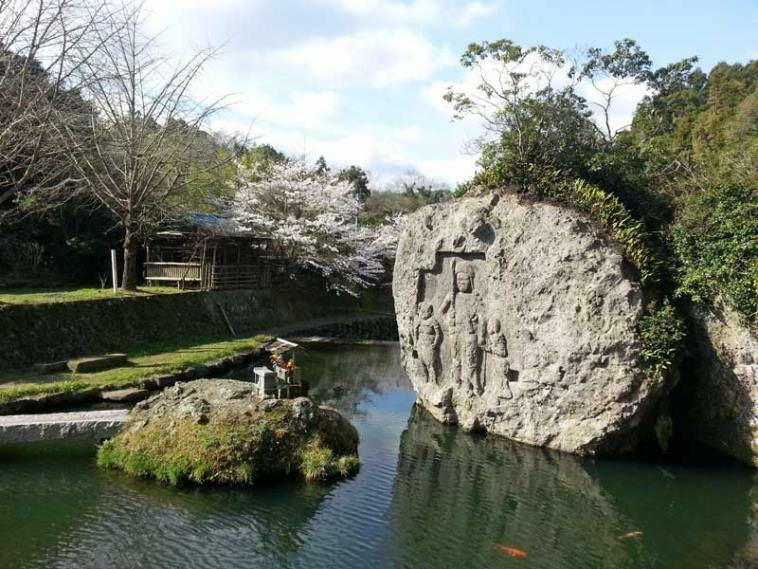 - Nokogiri-yama: follow a superb ridge to meet a pair of Buddha reliefs carved into the living rock. Huge views. [The long trek]... "follows in the footsteps of monks, who have walked through the mountains of the Kunisaki Peninsula for more than a thousand years. 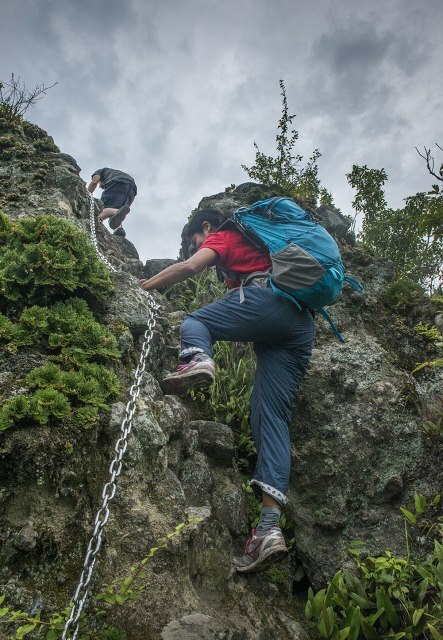 Any experienced trekker will thoroughly enjoy the ancient trails, which are now largely forgotten. These provide excellent walking through sleepy hamlets, verdant forests, along craggy ridges and over towering cliffs. On route we pass many stone Buddha statues, large and small, and the caves where monks once found shelter. 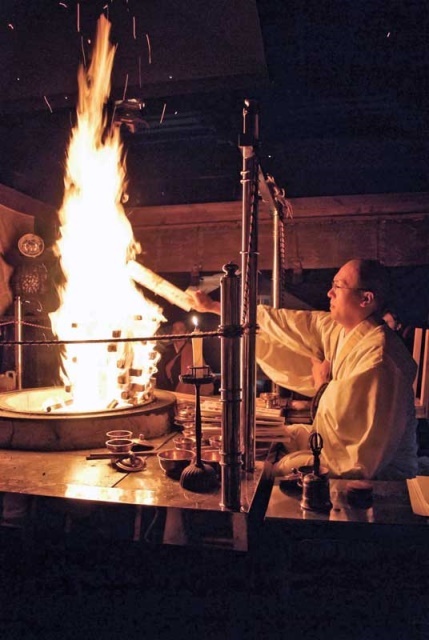 As with all our tours, on Kunisaki you will be immersed in Japanese culture of the past and present, enjoy Japanese cooking at its best, luxuriate in hot springs and simply gaze at the beautiful scenery. This, of course, all with expert guidance of the Walk Japan tour leader... Occasionally we pass through picturesque hamlets and temple grounds, but otherwise our trek is largely off-road on little-known mountain paths. 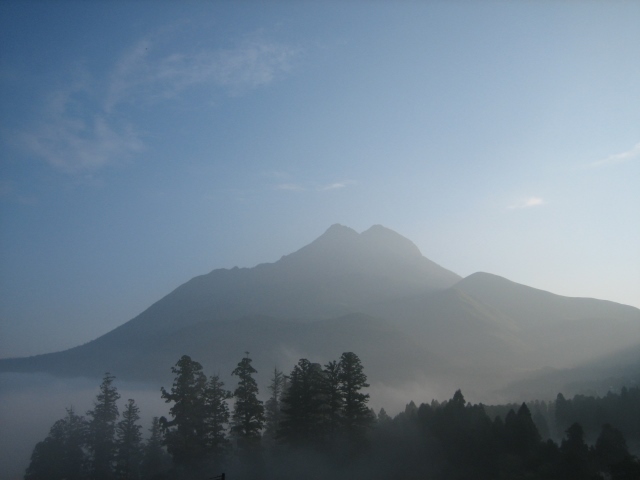 The climbs are usually short but they can be steep and require a degree of stamina to reach the peaks. Once there, though, the rewards include tremendous views and, as we negotiate narrow ridges and bridges, heady thrills. A reasonable head for heights is necessary." 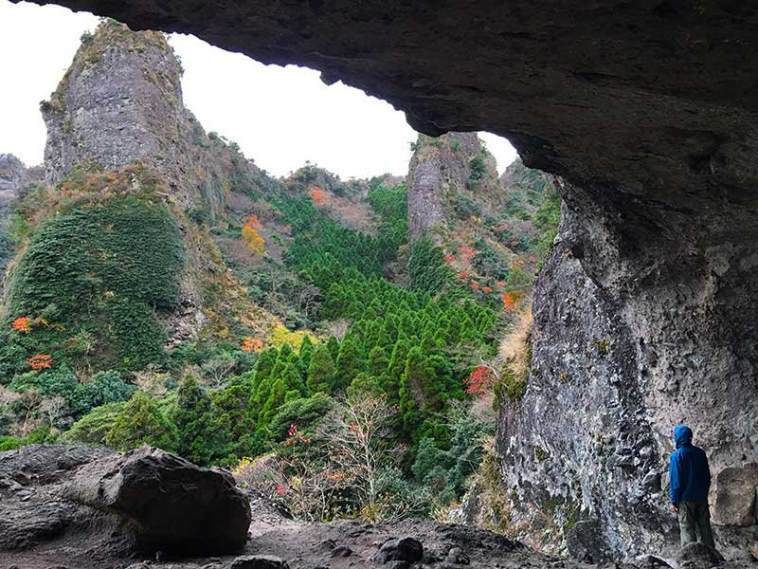 [The short trek]... "spend two full days exploring Kunisaki... Nokogiri-yama is one of the classic routes on Kunisaki with views across Kyushu. 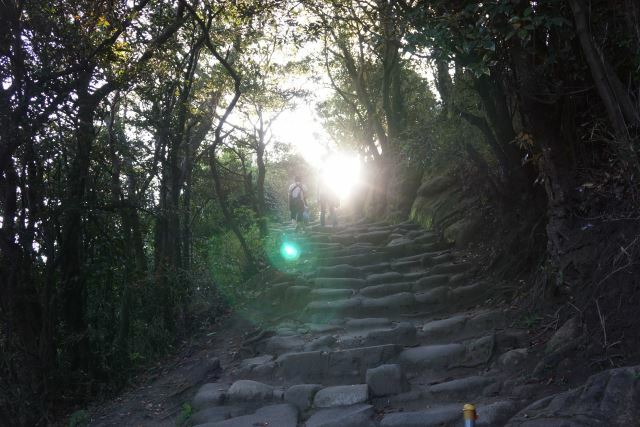 Nakayama-senkyo is an old pilgrimage route along a ridge lined with Buddha statues. As we climb superb views open up of the surrounding mountains and valleys. On a clear day we can see the Seto Inland Sea, the route by which Buddhism first arrived in Kunisaki from China, and Japan's main island, Honshu. 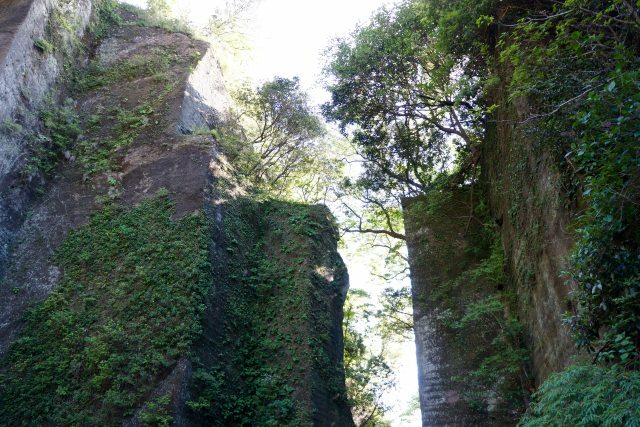 Other walks take us through the atmospheric site of a long deserted monastery now only populated by the poignant graves of the many monks who lived and died here, and Walk Japan's Community Project, which is successfully helping revive a local rural community." See their full itineraries here.